No offense to LBDs, but there are a lot more exciting options out there for your next party. 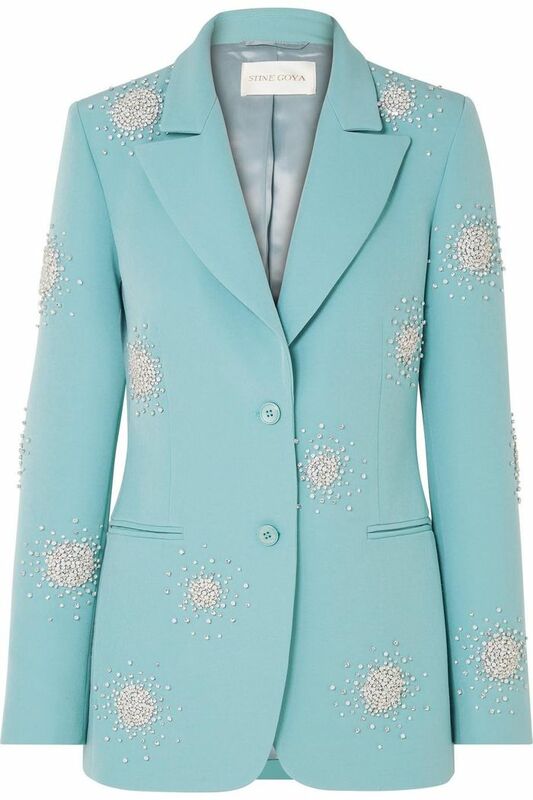 Case in point: Stine Goya's new exclusive capsule collection at Net-a-Porter, which includes my ultimate dream outfit I can't stop thinking about: a pale blue embellished pantsuit complete with bursts of crystals. Seriously, does it get any cooler than that? The cult Copenhagen brand reinterpreted some of its classic pieces for the eveningwear collection, which is begging to be worn at any and all of your holiday parties on the horizon. Aside from the pantsuit from heaven, there's an ethereal pastel chiffon dress, a flirty and flouncy minidress, a flattering blouse, and more. Word to the wise: One of the dresses and a wrap top have already sold out, so we have a feeling the rest of the collection will soon follow suit. 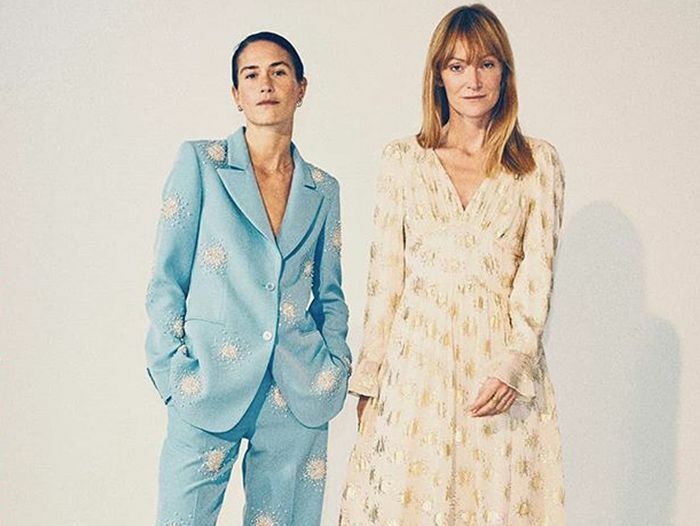 Scroll down to shop Stine Goya's new capsule collection at Net-a-Porter before it's gone.